Moving systems to the cloud may be a cost savings measure, but it may also increase your costs. True, the cloud service provider is responsible for the HVAC and electrical power and the hardware investments. You don’t have to worry about those things. Also, unless you are using IaaS, your cloud service providers are responsible for the operating systems licenses and CALs and all the other things that can impact your budget. But those costs are usually fixed and predictable. Now, you have to consider what it costs you to store that one extra backup a week, or to run real-time scans versus scheduled scans, or to pull down log files on a regular basis. All the things you just would do when systems were on-prem and not consider, are now things that could greatly increase your monthly bill. When was the last time you had to schedule a task to shut down servers on the weekend to save money? And what about the urgency if data needs to be recovered in case of data loss, extra flexibility will come at a cost too. With cloud services charging you by bandwidth, CPU cycles, storage, and more, all those little things you never gave a second thought could really come back to bite you in the wallet if you are not careful with what you schedule. The allure of the easier cloud is compensated for by losing control. You are now moving at the velocity of the vendor and not yourself. While it is a last-resort action, you have to admit a certain satisfaction to simply bouncing a box or pulling the power from a firewall that is not behaving properly to get things back up quickly. When you can walk into your server room and yank the plug, you have the ultimate in control. But when your services are being provided from a cloud that also provides services to hundreds or thousands of other unrelated companies, you have ceded a great deal of control to your service provider and even they may not be willing or able to bounce a system that just won’t seem to cooperate. They will patch and administer and secure those systems based on their schedules and their policies; not yours. You need to accept a certain loss of control when moving to the cloud.-But you also need to make sure that the cloud company you are doing business with are rigorous in their approach when it comes to securing their system, and by extension your data. Larger companies have figured this down to a science, but would smaller cloud operators have the same meticulous approach? The same way hackers turned to attacking small applications that ran on Microsoft when they say how hard the OS was to crack, the same might happen with cloud operators. Most cloud services are delivered as a part of a multi-tenant solution, meaning that the infrastructure that provides you services is leveraged to provide other customers services too. You are all subscribing to a certain – and sometimes limited – set of service offerings based on what the provider thinks is good enough to meet your needs. When you are consuming PaaS or SaaS services, you are also getting what the service provider offers, with those things turned on or off that they think work best for you. Maybe they are correct, but maybe you want something more, or different. Or perhaps they offer the small, medium, and large options, but nothing that is off the menu, but you like your services a certain way or with a substation or something on the side. Remember that cloud service providers are able to provide services so cheaply in large part because they are offering standard solutions. So always keep in mind what your business might need a year, or five, down the line. If customization is what you are after the cloud might not be the best place to look and many companies do find themselves stuck because their provider doesn’t support flexibility, workflow, rules etc. You need to fit into the cloud’s offerings. They don’t adjust to fit you. As a result, if you like things custom, the cloud may not be a fit for you. You have to determine if the savings make up for that loss. 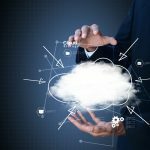 Moving to the cloud can be a great cost savings for your business, but it can come with some hidden expenses that may not make the deal so sweet. Think before you leap. Make sure you talked with your users and anyone else who is going to be hands on with the system. Consider costs, control, and customizations in your maths to ensure you really are getting the sweet deal you were promised. Andre Muscat is Chief Product Officer at GFI Software. He is a self-confessed geek with an intense drive for creating differentiating, repeatable and scalable playbook-style business models and techniques. Andre’s passion is to deliver products which are smart, relevant and of value to customers globally. He has more than 15 years of experience in technology, business development, product management, user experience, eLearning and training, relationship management and OEM roles within GFI Software. As a long-standing team member of GFI, he understands the company’s past and is helping to create an even better future. Andre is responsible for overseeing the company's technology, product execution and strategy. His specific functional areas of responsibility include Product Management, Product Integrations, Product Design, Product Analytics, eLearning and Help systems.